301 N 12th St, Lincoln, NE 68508. 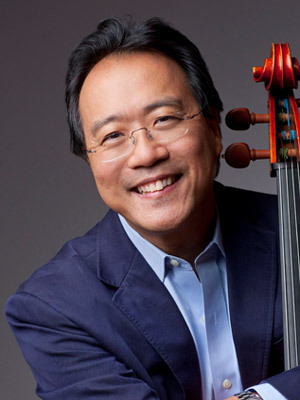 The many-faceted career of cellist Yo-Yo Ma is testament to his continual search for new ways to communicate with audiences and to his personal desire for artistic growth and renewal. Mr. Ma maintains a balance between his engagements as soloist with orchestras worldwide and his recital and chamber music activities. His discography includes over 90 albums, including more than 17 Grammy award winners. Mr. Ma serves as the Artistic Director of the Silk Road Project, an organization he founded to promote the study of cultural, artistic and intellectual traditions along the ancient Silk Road trade routes. Mr. Ma also serves as the Judson and Joyce Green Creative Consultant to the Chicago Symphony Orchestra’s Institute for Learning, Access and Training. His work focuses on the transformative power music can have in individuals’ lives, and on increasing the number and variety of opportunities audiences have to experience music in their communities. He has received numerous awards, among them the Avery Fisher Prize (1978), the National Medal of Arts (2001), the Sonning Prize (2006), the World Economic Forum’s Crystal Award (2008), the Presidential Medal of Freedom (2010), the Polar Music Prize (2012), and the Vilcek Prize in Contemporary Music (2013). In 2011, Mr. Ma was recognized as a Kennedy Center Honoree. Mr. Ma was born in Paris to Chinese parents who later moved the family to New York. He began to study cello at the age of four, attended the Juilliard School and in 1976 graduated from Harvard University. 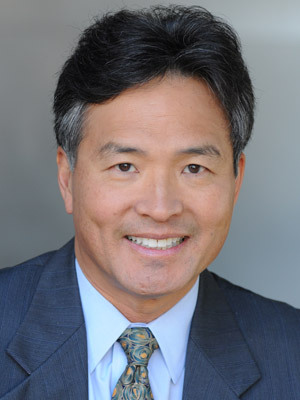 Milton Chen is senior fellow and executive director emeritus at the George Lucas Educational Foundation, a nonprofit operating foundation in the San Francisco Bay Area that utilizes its multimedia website, Edutopia.org, and documentary films to communicate a new vision for 21st century education. He served as executive director of GLEF for 12 years, and during his tenure, GLEF and Edutopia, greatly expanded their editorial publishing efforts, including the award-winning Edutopia magazine. Chen’s career has spanned four decades at the intersection of preK-12 education, media, and technology. Prior to joining GLEF, he served for 10 years as the founding director of the KQED Center for Education (PBS) in San Francisco. In the 1970s, he was a director of research at Sesame Workshop in New York, helping develop Sesame Street, The Electric Company, and 3-2-1 Contact. Chen has been an assistant professor at the Harvard Graduate School of Education and was one of 35 Fulbright New Century Scholars conducting research on access and diversity issues in schools and universities. He received a bachelor’s degree in social studies from Harvard and a master’s degree and Ph.D. in communication from Stanford. His book “Education Nation: Six Leading Edges of Innovation in our Schools,” was named one of 2010’s best education books by the American School Board Journal. The engines of the U. S. economy rely on entrepreneurship, technology, and innovating new products and services. A key to developing children's creativity and their ability to innovate is nurturing their natural curiosity. Dr. Milton Chen, senior fellow and executive director, emeritus, at The George Lucas Educational Foundation in the Bay Area, will present examples of schools and afterschool programs emphasizing creative learning through project-based learning, the visual and performing arts, and experiences in authentic places, such as the National Parks. March 3, 2015 - 7 p.m. This Wilson Dialogue will explore the global environmental and financial effect of carbon emissions and proposed regulation. 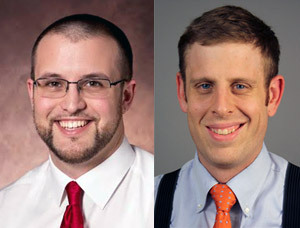 Experts Lewis and Metcalf will debate the pros and cons of carbon regulation through taxation, cap and trade, and other measures. What is the carbon footprint of your household, employer and nation? How would proposed regulation impact you? Join the dialogue to find out. Marlo Lewis, Jr. is a senior fellow at the Competitive Enterprise Institute, writing on global warming, energy policy, and public policy issues. He has been published in The Washington Times, Investor’s Business Daily, Tech Central Station, the National Review, and Interpretation: A Journal of Political Philosophy. He has appeared on various television and radio programs, and his ideas have been featured in radio commentary by Rush Limbaugh and G. Gordon Liddy. Prior to joining CEI in 2002, he served as director of external relations at the Reason Foundation in Los Angeles, California. During the 106th Congress, Lewis served as staff director of the House Government Reform Subcommittee on National Economic Growth, Natural Resources, and Regulatory Affairs. Lewis has also served as research director for Citizens Against Government Waste. He has been a staff consultant to the House Foreign Affairs Subcommittee on International Economic Policy and Trade, a special assistant at the State Department Bureau of Inter-American Affairs and Bureau of International Organization Affairs, and a visiting assistant professor of political science at Claremont McKenna College. He holds a bachelor’s in political science from Claremont McKenna College and a doctorate in government from Harvard University. 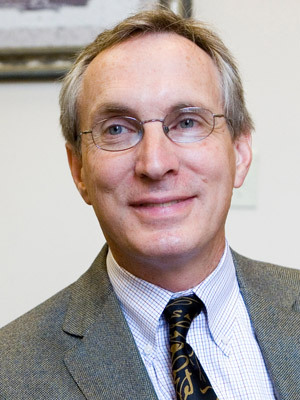 Gilbert E. Metcalf is a professor of economics at Tufts University and a research associate at the National Bureau of Economic Research. He is also a research associate at MIT's Joint Program on the Science and Policy of Global Change and an associate scholar in the Harvard Environmental Economics Program. Metcalf has taught at Princeton University, Harvard's Kennedy School of Government, and MIT. He has frequently testified before Congress, served on expert panels including a National Academies of Sciences panel on energy externalities, and recently served as the deputy assistant secretary for environment and energy at the U.S. Department of the Treasury. Currently he serves on the board of directors of the Association of Environmental and Resource Economists, the international professional association for economists working on environmental and natural resource issues. He has published numerous papers in peer reviewed academic journals, has edited or co-authored four books, and has contributed chapters to a number of books on energy and tax policy. 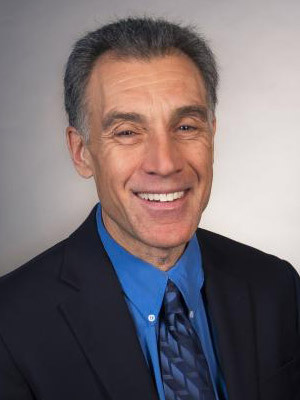 Metcalf received a bachelor’s in mathematics from Amherst College, a master’s in agricultural and resource economics from the University of Massachusetts Amherst, and a Ph.D. in economics from Harvard University. September 10, 2014 - 7:30 p.m.
Former U.S. Poet Laureate Natasha Trethewey was originally scheduled to deliver the lecture. Abani agreed to come to Lincoln after Trethewey was forced to cancel due to unforeseen circumstances. 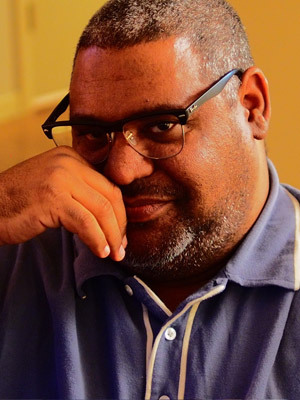 Award-winning writer, playwright and TED speaker Chris Abani will deliver the 19th annual Governor’s Lecture in the Humanities at 7:30 p.m. this Wednesday, September 10, at the Lied Center for Performing Arts in Lincoln. He will replace Natasha Trethewey, who is unable to give the lecture due to a death in her family. 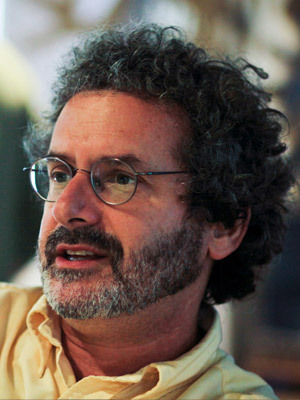 Neil Gershenfeld is the director of MIT's Center for Bits and Atoms. His unique laboratory breaks down boundaries between the digital and physical worlds, from creating molecular quantum computers to virtuosic musical instruments. Technology from his lab has been seen and used in settings including New York's Museum of Modern Art and rural Indian villages, the White House and the World Economic Forum, inner-city community centers and automobile safety systems, Las Vegas shows and Sami herds. He is the author of numerous technical publications, patents, and books including “Fab,” “When Things Start To Think,” “The Nature of Mathematical Modeling,” and “The Physics of Information Technology.” He has been featured in The New York Times, The Economist, NPR, CNN, and PBS. He is a fellow of the American Physical Society, has been named one of Scientific American's 50 Leaders in Science and Technology, as one of 40 Modern-Day Leonardos by the Museum of Science and Industry, one of Popular Mechanic's 25 Makers, has been selected as a CNN/Time/Fortune Principal Voice, and by Prospect/Foreign Policy as one of the top 100 public intellectuals. Gershenfeld has a bachelor’s in physics from Swarthmore College, a Ph.D. in applied physics from Cornell University, and honorary doctorates from Swarthmore College and Strathclyde University. He was a junior fellow of the Harvard University Society of Fellows, and a member of the research staff at Bell Labs. Analog telephone calls degraded with distance; digitizing communications led to the Internet. Analog computations degraded with time; digitizing computing led to the PC. Today's most advanced manufacturing remains analog: the designs are digital, but the processes are not. I will introduce emerging research on digitizing fabrication, and explore the implications of anyone being able to make (almost) anything. 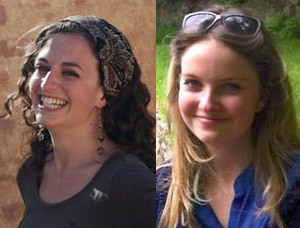 Kate Brooks is a postgraduate student reading for the DPhil in International Relations at the University of Oxford. In her work she examines the historical evolution of conceptions of territory in international theory and practice. She also works as a Consultant Researcher for the United Nations Economic and Social Commission for Western Asia. Kate is head of competitive debating at the Oxford Union and a successful competitive debater having won of the Oxford Women's Open 2013 and the Moscow Open 2012, and having been in the finals of Glasgow Ancients 2014, Glasgow Women's 2014, KCL IV 2013 and the Aber Open 2014. She will be representing Oxford at the European Universities Debating Championships 2014 in Zagreb. Alice Coombes Huntley recently graduated from the University of Bristol with a first-class degree in English Literature. She is hoping to continue her education and study for a Master’s degree in Victorian literature in 2015. Alice has been involved with the English-Speaking Union since she was a teenager, first as a member of the England World Schools Team and now as a mentor and England Team Committee member. As a debater she has won 3 national competitions, reached the finals of countless others and has ‘broken’ at the World Schools, World Universities and European Universities Championships; her team was ranked 4th best in Europe in 2013. Adam Blood is a doctoral student in the Department of Communication Studies at the University of Nebraska-Lincoln, where he is also a coach for the UNL debate team. A native of Joplin, Missouri, he was previously a debate coach and public speaking instructor at the University of Central Missouri, where he received a B.A. in Accounting and a M.A. in Mass Communication. In addition to his debating and coaching experience, Adam was the commencement speaker for UCM’s 2014 spring graduation ceremony. Jonathan Carter is a doctoral student in the Department of Communication Studies at the University of Nebraska-Lincoln, where he also serves as an assistant coach for the UNL speech team. Originally from Denver, he earned a bachelor of science in Communication and History at Northwestern University and M.S. in Communication at Illinois State University. Currently in his 10th year coaching speech and debate, Jon has coached multiple national championship teams and individuals.